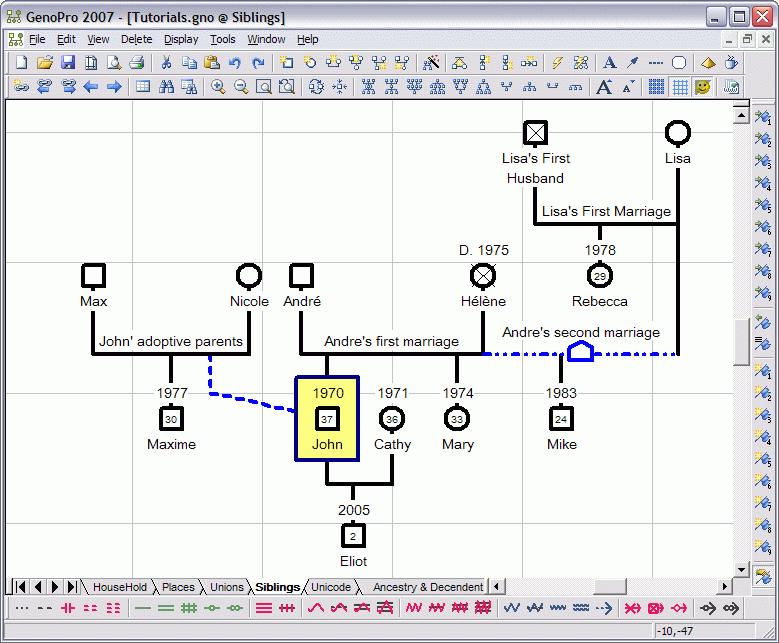 GenoPro is a software for drawing family trees. Among all the family tree softwares, GenoPro is the easiest to learn and to use. If you are a beginner to genealogy, you can learn to use GenoPro in a few minutes without needing to consult the online help.GenoPro uses the genogram to represent your family tree. A genogram is a graphical representation of a family with a set of simple rules and images. Statement: First, please download the orginal installation package by clicking the download link. Of course you may also download it from the publisher's website. Using GenoPro crack, key, patch, serial number, registration code, keygen is illegal. The download file hosted at publisher website. We do not provide any download link points to Rapidshare, Hotfile, Depositfiles, Mediafire, Filefactory, etc. or obtained from file sharing programs such as Limewire, Kazaa, Imesh, Ares, BearShare, BitTorrent, WinMX etc. Software piracy is theft. If you like GenoPro please buy it.